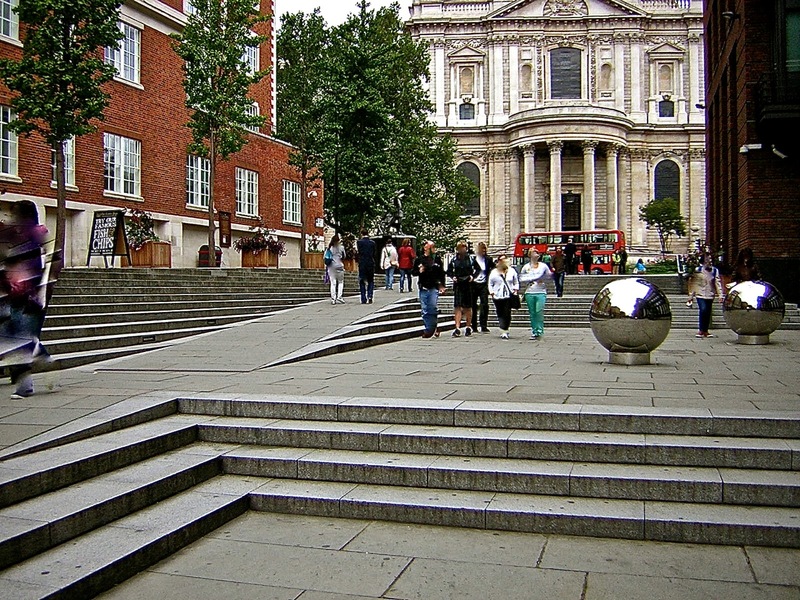 This is a walkway combining steps and ramps between St. Paul’s Cathedral and the Millennium Bridge. 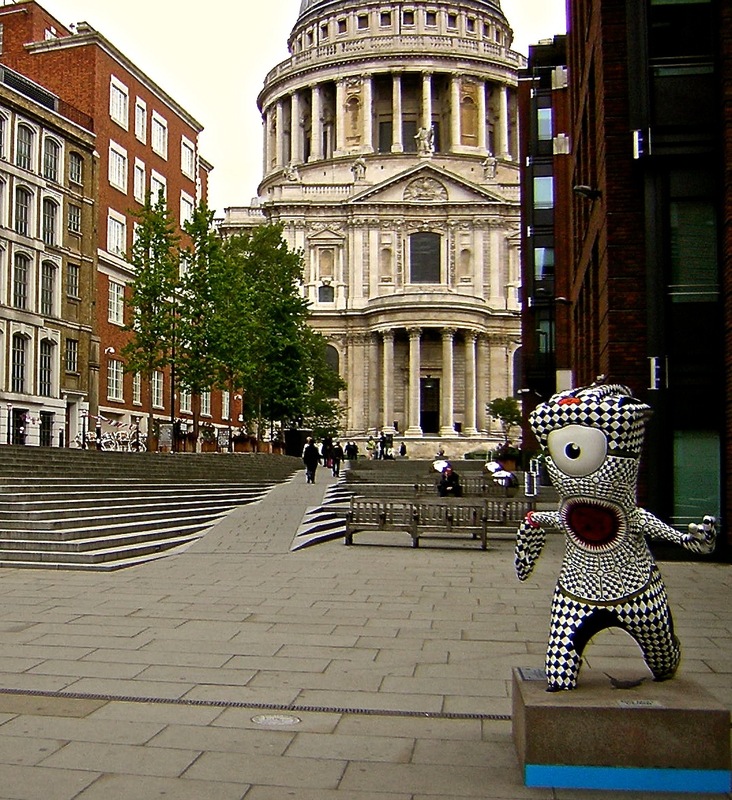 The strange black and white sculpture in the photo below is a variation of the mascots of the 2012 Olympics. 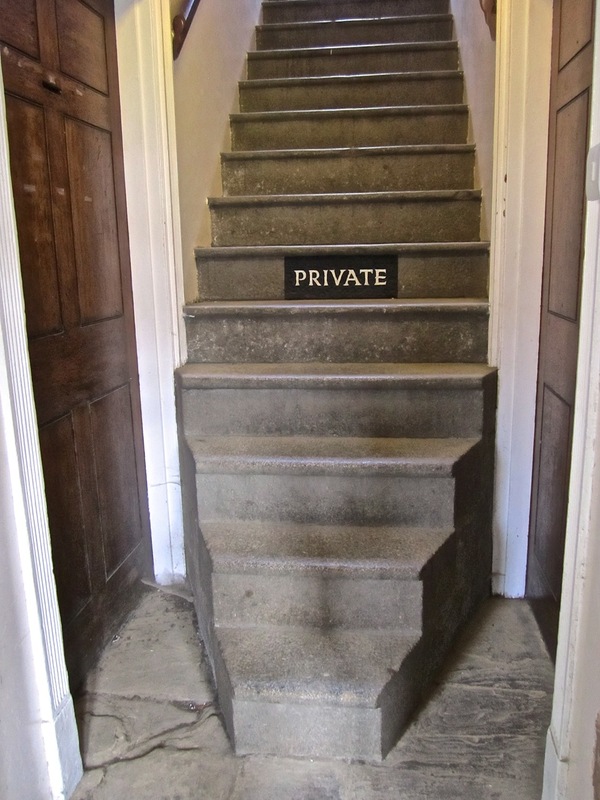 I also spotted these interesting steps, below, at Magdalen College, Oxford. 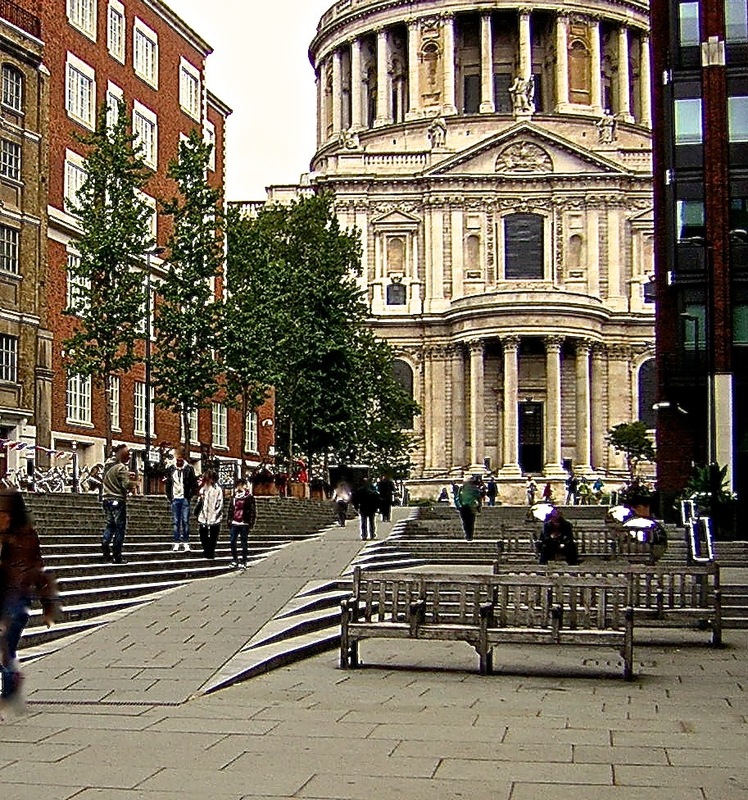 Next Post More steps, Washington, D.C.